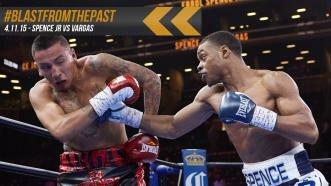 In his first PBC broadcast appearance, rising welterweight contender Errol Spence Jr. showed just why he was one of the hottest prospects in all of boxing. The DeSoto, Texas, native made quick work of Samuel Vargas, knocking him down early, then scoring a TKO stoppage in the fourth round on April, 11, 2015, on NBCSN. 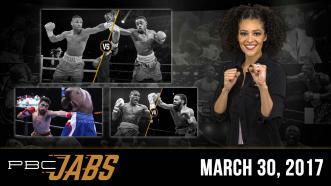 This week on PBC Jabs we check in with Andre Berto before he heads in the ring April 22nd, heavyweight champ Deontay Wilder gets ready to go wild on MTV's "Wild N Out" and we look back at a knockout by Errol Spence Jr. for "Throwback Thursday." 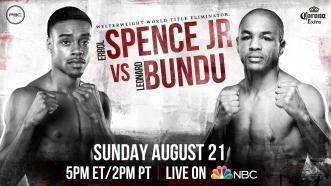 In order to set up his May 27th welterweight title shot against Kell Brook, Errol Spence Jr. first had to get past once-beaten veteran Leonard Bundu. He did so in spectacular fashion in front of a TV audience of more than 6 million viewers. 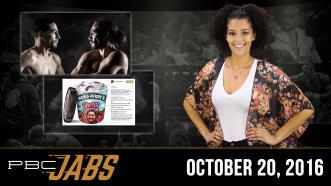 This week on PBC Jabs, Danny Garcia returns home to fight for Philly on November 12th and Keith Thurman and Errol Spence Jr. are in the spotlight in the latest edition of “Boxing Beefs." 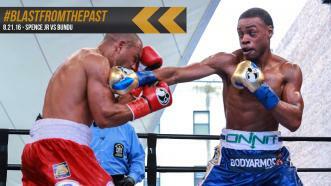 In the post-Floyd Mayweather Era, many believe Errol Spence Jr. can take over as the king of the Welterweight division. 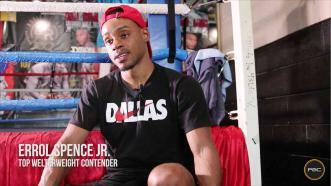 Ahead of his title eliminator bout against Leonard Bundu, Spence weighs in on the current 147-pound landscape. 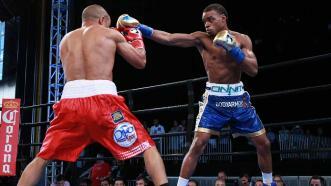 Undefeated rising star Errol Spence Jr. scored a devastating sixth-round knockout of Leonard Bundu to win a 147-pound world title eliminator.